Western Digital upgraded its new version of Black SSD that includes maintaining optimal levels of performance with preventing heat features. 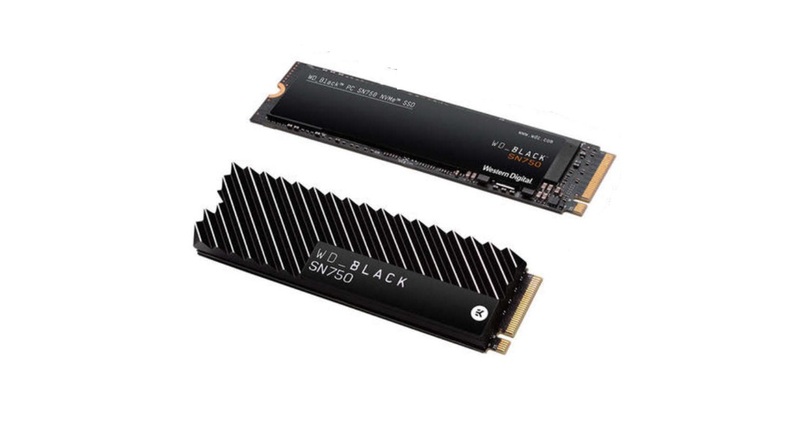 The updated WD Black SN750 NVME SSD has dimensions of 88mm x 2.38mm x 22mm and a heatsink that includes passive cooling features. The SN750 storage capacity has 4 models which are 250GB, 500GB, 1TB, and the 2TB. All models have PCI 3rd Generation 8 GB/s up to 4 lanes and a M.2 2280 form factor. The 250GB model sequential is up to 3,100 MB/s in read and up to 1,600 MB/s in write speeds. The 500GB model sequential is up to 3,470 MB/s in read and up to 2,600 MB/s in write speeds. The 1TB model sequential is up to 3,470 MB/s in read and up to 3,000 MB/s in write speeds. The 2TB model sequential is up to 3,400 MB/s in read and up to 2,900 MB/s in write speeds. The WD Black SN750 prices are according to their models without heatsink which are 250GB model for $79.99, 500GB model for $129.99, 1TB model for $249.99, and 2TB model for $499.99. Models with heatsink included will have a higher price.